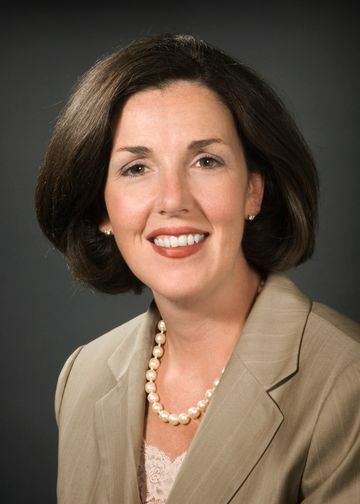 As associate executive director of patient care services and chief nursing officer, Kerri Scanlon, RN, is responsible for creating and facilitating North Shore University Hospital’s strategic plan for nursing and clinical services, as well as improving and delivering quality care to its patients. She serves as a leader on the Northwell Health Nurse Executive Council, where best practices are established and implemented hospital and health system-wide. Previously, Ms. Scanlon was associate executive director for patient care services and chief nursing officer at LIJ Medical Center. She was instrumental in transforming patient care, helping design a new Inpatient Tower, creating a patient-centered environment, promoting staff empowerment, leveraging technology for communication and innovating medication management strategies. These strategies included delivering medications at a patient’s bedside and implementing unit-based pharmacists, and resulted in improved patient and staff experiences and outcomes. They were also key to earning Magnet designation — the gold standard for nursing — in 2015. Ms. Scanlon has received several prestigious awards, including the 2009 Nursing Spectrum regional and national Nursing Excellence award. Long Island Business Newsalso named her to its 40 Under 40 list in 2009, and she was a participant in the Robert Wood Johnson Transforming Care at the Bedside Project and the original American Nurses Association Time Motion Study. Ms. Scanlon, a graduate from the Academy GE Fellows Program for Nurse Executives, has published and presented locally, regionally, nationally and internationally on quality and the nursing profession. She holds bachelor’s degrees from Manhattanville College and Columbia University, as well as a master’s in nursing as an adult nurse practitioner from Columbia.